"Martha and family, so sorry to hear of Ken's passing, he..."
"So sorry to hear of Ken's passing. Sending love and..."
"Martha and Family. Ken was the most polite and nice person..."
"sorry to hear about your lose. I remember Kenny well. ..."
"Will miss you calling me by my nickname. Love always Skicha!" 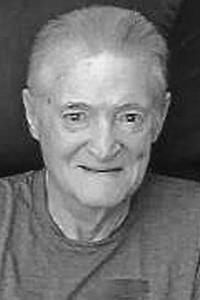 LEEDS - Kenneth Alfred Frost passed peacefully with his family by his side on April 9, 2019. He was born on Aug. 9, 1936 to Herbert and Marie Frost of Winthrop. He married Martha W. Stevens on Sept. 12, 1964 and fathered four wonderful children. He will be greatly missed by his family and his many friends and colleagues.Ken worked for many years at Tex Tech in North Monmouth and later worked for Chick Orchards. He worked for Filter Belt when he retired. He was a great husband to his wife, a wonderful father to his children, a friend to all and would give the shirt off his back to anyone that was in need. He was an avid year-round fisherman, snowmobiler and loved the outdoors and all that nature had to offer. Ken would regularly sing to Kami, one of his favorite people from Beacon Hospice and the family extends a special thanks to the Beacon Hospice staff for their services over the past few years. He is survived by his wife Martha of Leeds; his daughter, Jane and her husband, Ernie Hewett of Winthrop, three sons, Ken Jr. and his partner, Tammy of Jackman, Herb and his partner, Carolyn of Leeds, Daniel and his partner, Brenda of Auburn; and his grandchildren, John, Daisy, June, Josh, Jeremy, Zach, Lilly, Ashley, Isaha, Leah, Julia and Alex. He is also survived by 14 great-grandchildren; one great-great-grandchild, and four siblings, Beverly and her husband, Leon Deblois of Winthrop, Linda Dodge of Winthrop, Julie and her husband, Raymond Pettengill of Bangor and Florida and his brother, Russell Frost of Winthrop; and his several nieces and nephews. He is predeceased by his father, Herbert Frost and his mother, Marie Burnham Frost. A burial and celebration of Ken's life will be held at a later date. Home and cremation care have been taken care of by Roberts Funeral Home 62 Bowdoin St., Winthrop.Memorial donations may be made in Ken's name toBeacon Hospice atAmedisys Inc.ATTN: Amedisys FoundationAmerica WaySuite ABaton Rouge, LA 70816 Please make check or money order out to Amedisys Foundation.